Normal retina. 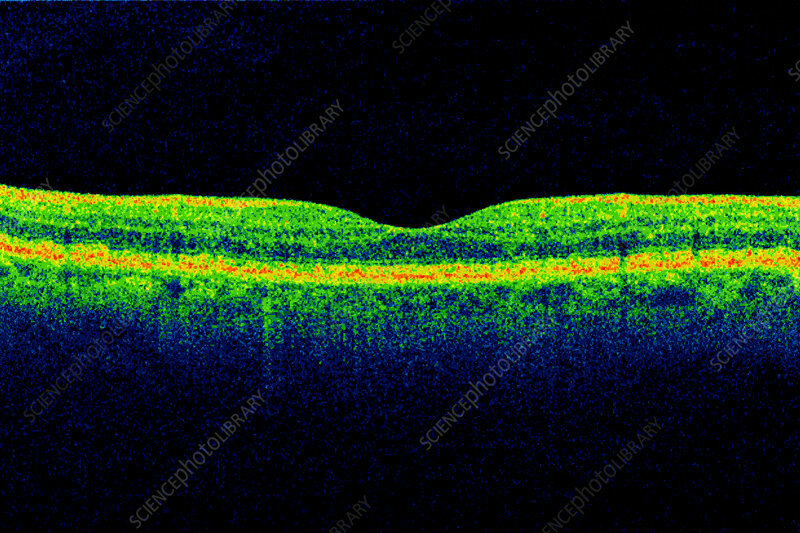 Optical coherence tomography (OCT) scan of a section through the macula (upper centre) of the retina in the healthy eye of a 65-year-old man. Here, the pigment epithelium can be seen (red) separating the retina (top) and the choroid (bottom).